Worried about your future fertility? Sense your biological clock is ticking and not sure what to do about it? Trying to get pregnant but it’s just not happening? Wondering if it’s time to get help? Thinking about attending a specialist clinic but it seems expensive and a bit daunting? Already had unsuccessful fertility treatment and need advice? 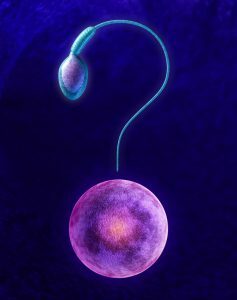 Concerned about male fertility? Too embarrassed to see your GP? Not keen on seeing your partner’s gynaecologist for advice? Dr Catherine Riordan is a fertility specialist at ReproMed in Dundrum. She has also been part of the Bray Women’s Health Centre team for almost 20 years. From November, she will begin a dedicated fertility clinic with us so that you can access specialist advice right here in Bray. The big specialist fertility clinics are set up primarily to provide IVF treatment. Most people don’t need IVF to have a baby. The combination of Catherine’s expertise with the Ultrasound Suite may be the perfect solution for you. For many people, some basic investigations will be all they need for reassurance. For others, something simple, like ovulation induction with Clomid, will be enough. Some will ultimately need more specialised treatment such as IVF. Catherine’s role will be to guide you on your journey as simply, efficiently and cost effectively as possible. Although she works at ReproMed and will be very happy to take you under her care there, this service is entirely independent. In fact, it should help you to avoid attending such clinics at all unless really necessary. If you eventually need to move on to something more high tech, she will refer you on to the specialist clinic of your choice. At that point, you will be fully prepared and have a clear understanding of what lies ahead.